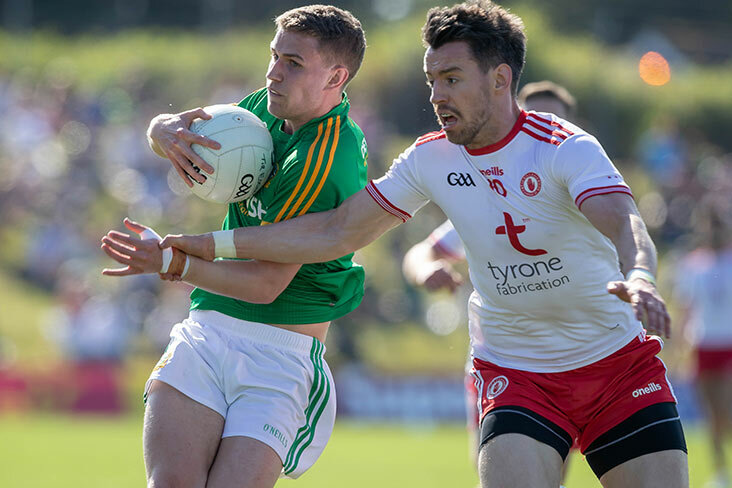 "We could have been out of it altogether in Navan"
Mickey Harte admits that Tyrone could have exited the championship when they faced Meath in Navan last month. Cathal McShane's point in the sixth minute of injury time forced extra time in a nip-and-tuck first-round Qualifier and the Red Hands ended up falling over the winning line that day, 2-14 to 0-19. Six weeks later, they'll welcome Dublin to Omagh for a glamourous Super 8s fixture, having seen off Carlow, Cavan, Cork and Roscommon in between. "It's something we never dreamt would ever happen, but it's a very novel idea the All-Ireland champions Dublin coming to play a championship match in Omagh in the month of July, and we're lucky to have that opportunity," Harte told The Irish News. "We could have been out of it altogether in Navan the day we played Meath. So we used our luck up quite a bit that day and then we learned to build on that. We've taken advantage of that little bit of a break we got in Navan. "There is a very fine line between a degree of success and huge failure. We've had a degree of success at this stage and we'd like to keep it going a bit longer."